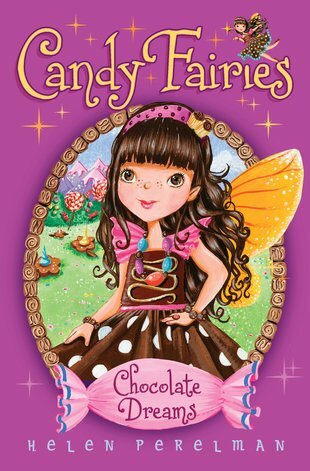 A deliciously sweet new series: Rainbow Magic with goodies! 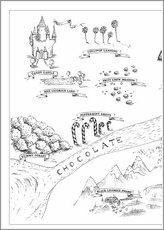 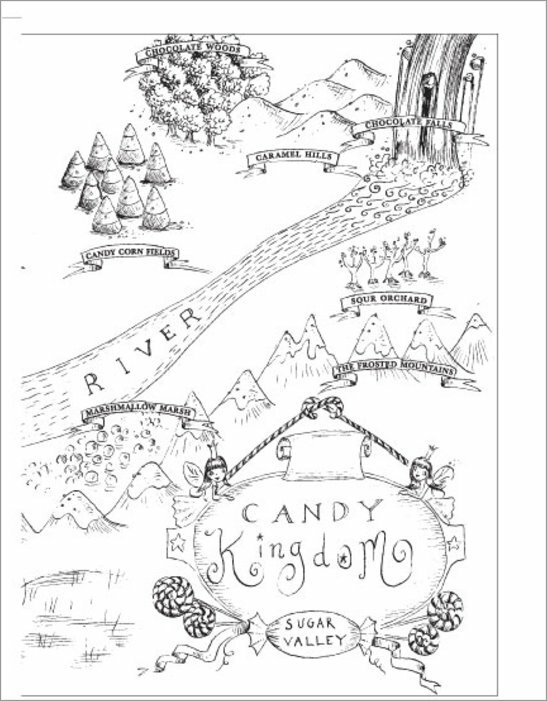 Come to Sugar Valley – a candy kingdom made of caramel, sweeties and chocolate. 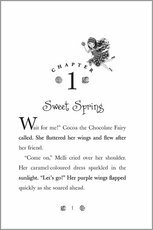 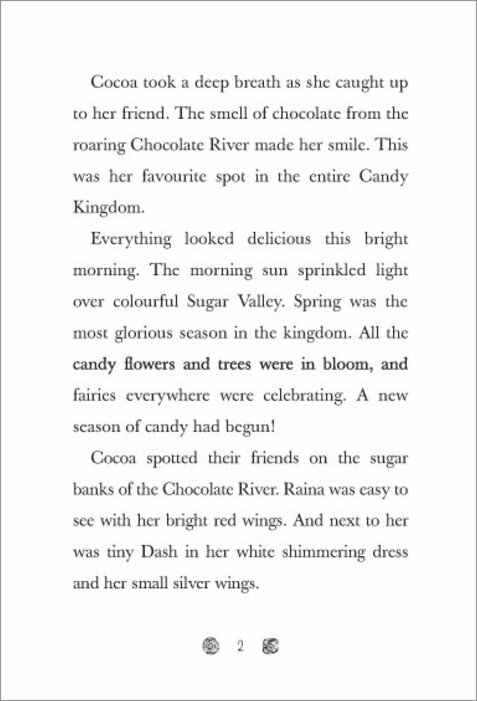 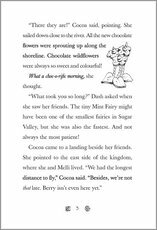 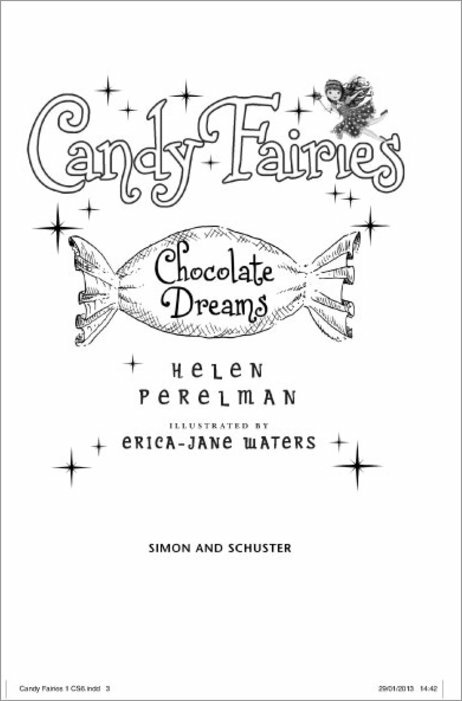 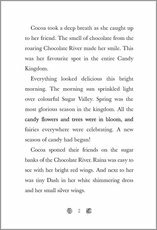 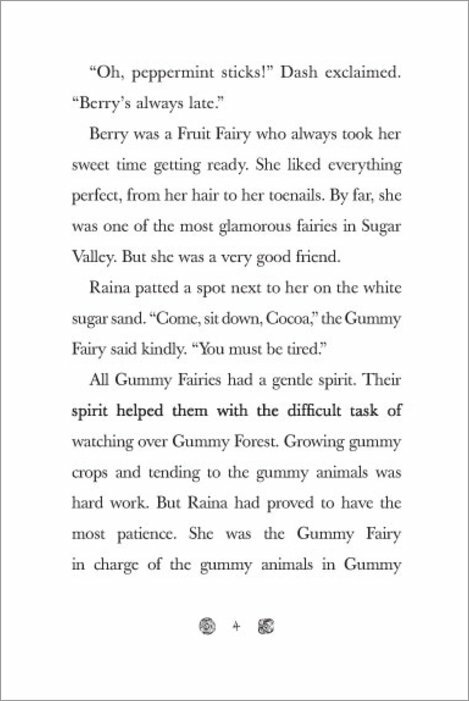 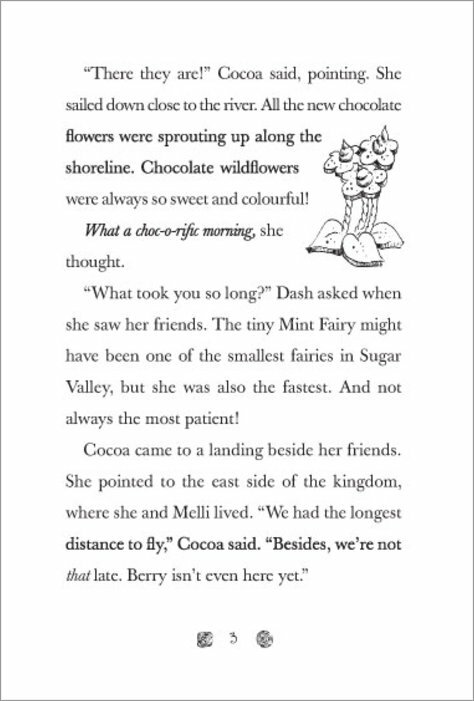 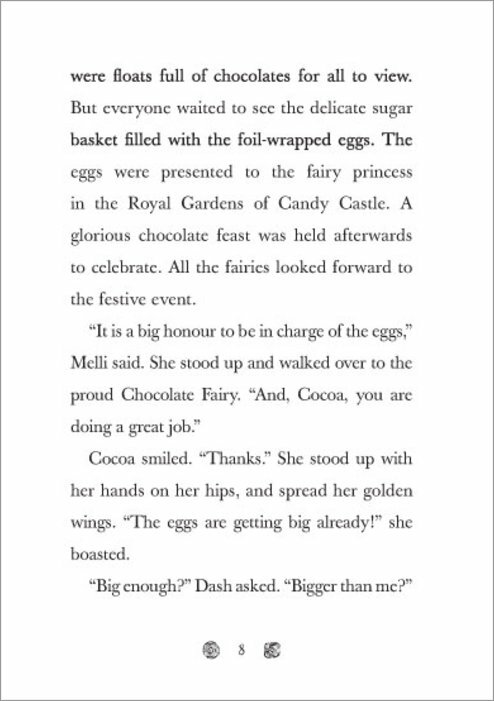 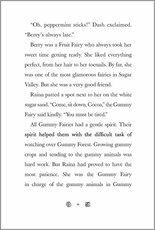 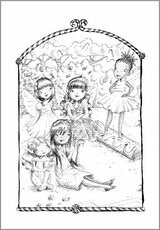 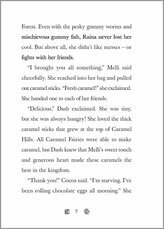 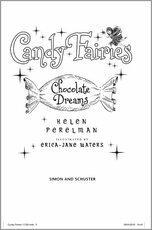 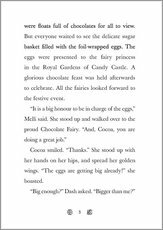 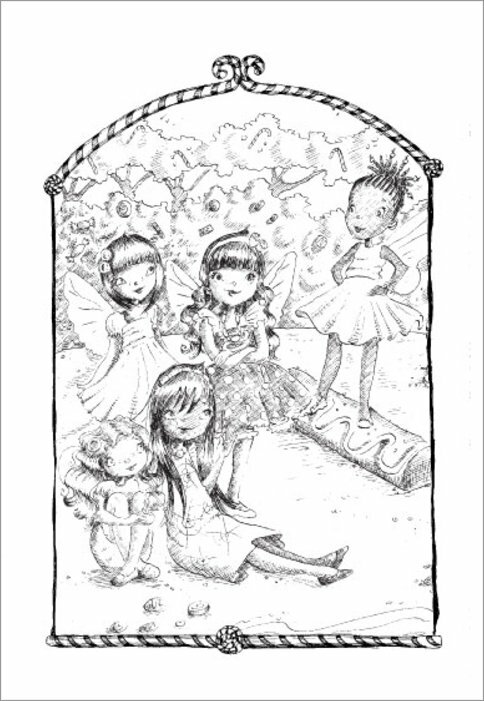 In this first new story, Cocoa the Chocolate Fairy is really excited. 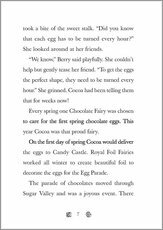 She has been picked to watch over the special chocolate eggs for the spring parade! 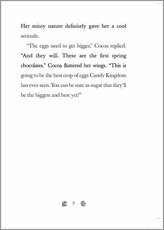 But just before the parade, the eggs go missing from the nest. 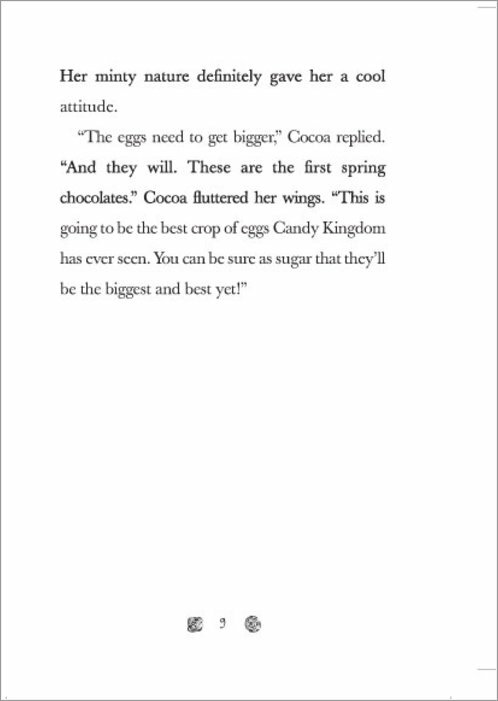 Who has taken them? 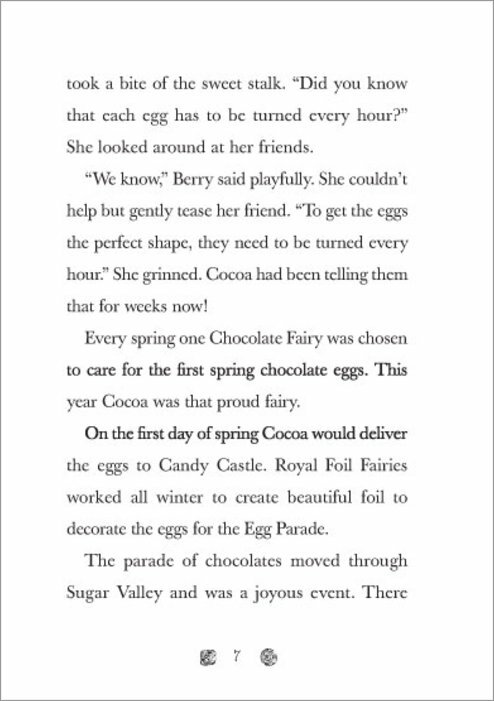 Can Cocoa and her friends solve the egg mystery before the big day? For the fairies who live in the Candy Kingdom, life is deliciously fun!